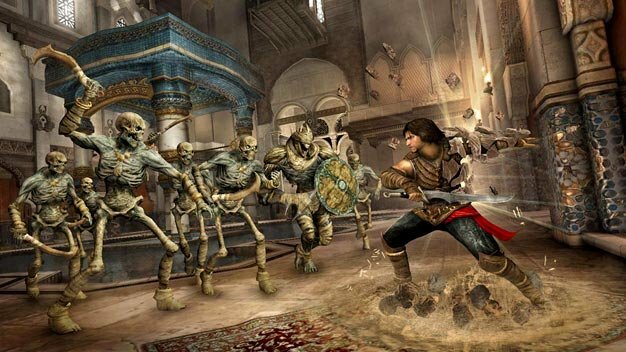 Those who pre-order the PlayStation 3 or Xbox 360 version of Prince of Persia: The Forgotten Sands from GameStop will be rewarded with an “exclusive” Forgotten Arena game mode, Ubisoft’s Facebook page informs. With no time limit, the mode, a Horde-like affair at its heart, throws an ever-increasing number of relentless, regenerating foes at the player. To keep things fittingly mysterious, those who manage to defeat 100 enemies “may have what it takes to become a real Prince of Persia” — surely, an unlock tease for something. All in all, sounds like the kind of thing that would be a shame to miss out on; we’ve pinged Ubi PR to find out if there are plans to release it as DLC post-launch. Expect an update when/if they respond.